The professional training is aimed at therapists looking to expand their practice. The courses are held at the Whole Health Centre, a beautiful space designed to create a relaxed yet professional atmosphere suitable for learning. Colonic Hydrotherapy is a useful adjunct to herbal prescriptions, nutritional therapy, osteopathy and naturopathy. Generally, cleansing and detoxification practices will enhance homoeostasis and improve the outcome of all other treatments from homoeopathy to healing and massage. Anne-Lise also offers short CPD training (half days) in visceral massage, probiotic/prescriptions and on how to make fermented vegeatbles. Those courses are not limited to colonic therapist but can be attended by any other complementary health therapist. The courses and CPD events are led by Anne-Lise Miller. She is an experienced trainer and lecturer and specialises in Colonic Hydrotherapy, fasting and detoxification. 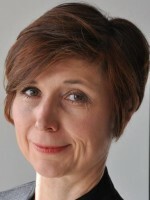 She is a qualified teacher/trainer and has been training in colonic hydrotherapy since 1996. Anne-Lise is the author of "Too Young to Grow Old"